A world of its own – and a paradise like no other – Bali is a stunning island from its countryside to its beaches, with endless discoveries and true luxury retreats. Here’s where to go, what to see, and how to get around. One of the world’s most storied vacation destinations – known as “The Island of the Gods” – Bali stakes a serious claim to representing paradise on Earth. From the countryside to the beaches, here’s a closer look at Bali’s stunning, sunny regions. 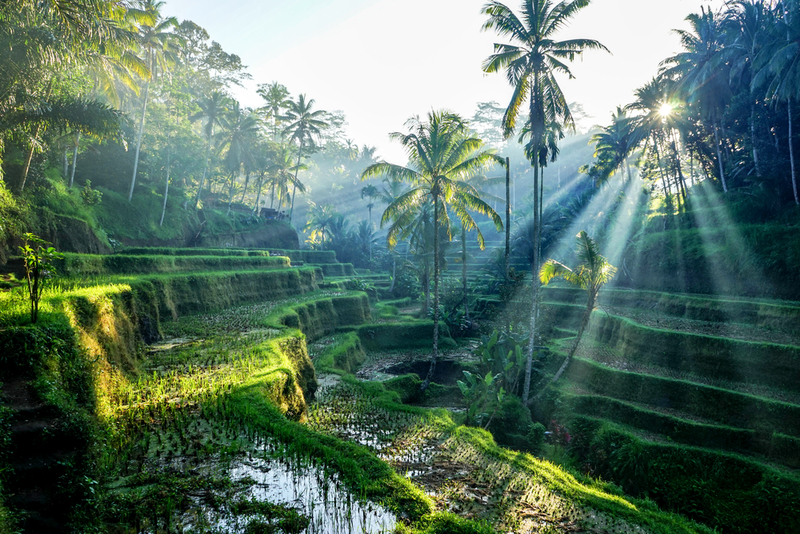 The cultural heart of Bali, Ubud is famous as an arts and crafts hub as well as the center of a beautiful countryside full of terraced rice paddies, waterfalls, and lush, dramatic valleys. Take your pick of museums, galleries, temples, cooking classes, and cultural performances. Bali’s premiere beach resort area, Nusa Dua spotlights long stretches of soft white sand, calm seas, and cool breezes – ideal for beach and water sport activities like sunbathing, swimming, surfing, and scuba diving. 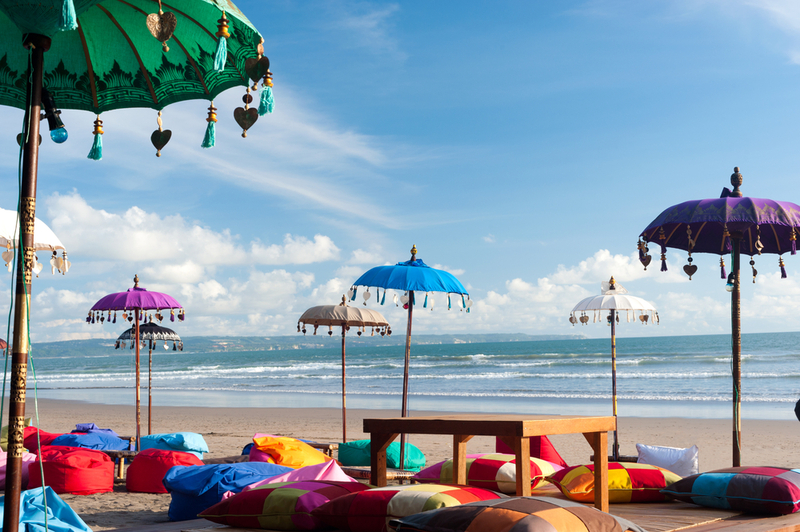 Originally “discovered” by surfers, lively little Kuta is all beach recreation, breathtaking sunsets, and after-dark partying, while nearby Seminyak is a more upscale oceanside resort area with hip fashion boutiques, designer stores, and art studios. 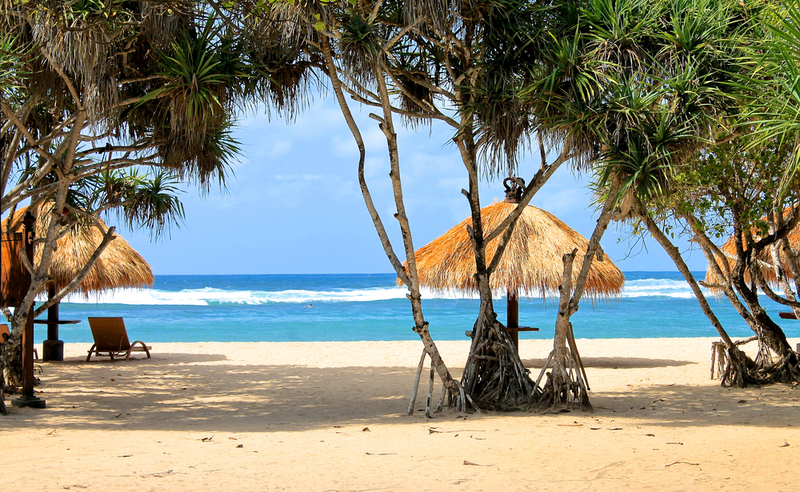 Kuta Beach is considered one of the more popular tourist beaches, known for its unrivaled sands and reef breaks. Reachable only by boat, the laid-back Gili Islands are nirvana for snorkelers and scuba divers. There are also countless little beachside cafés, restaurants, and bars – but no vehicular traffic. 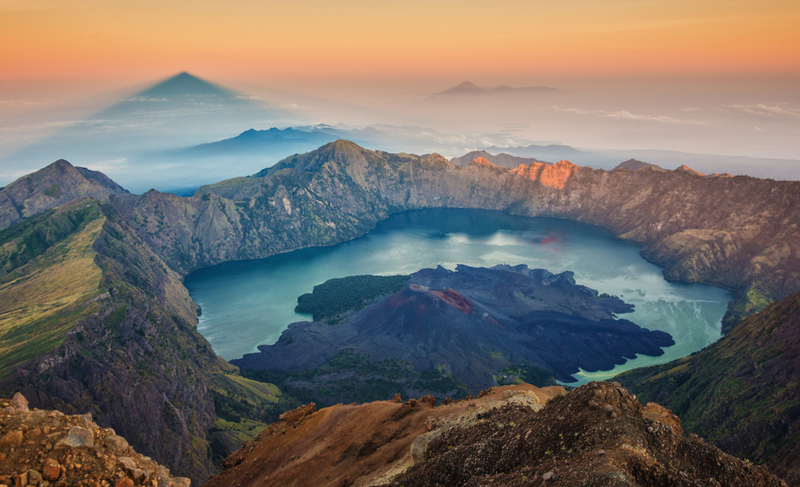 Located just east of Bali, quiet Lombok are beautiful beaches, enchanting waterfalls, and the looming volcano of Mount Rinjani – the tropical paradise that many regard as the “real” Bali. 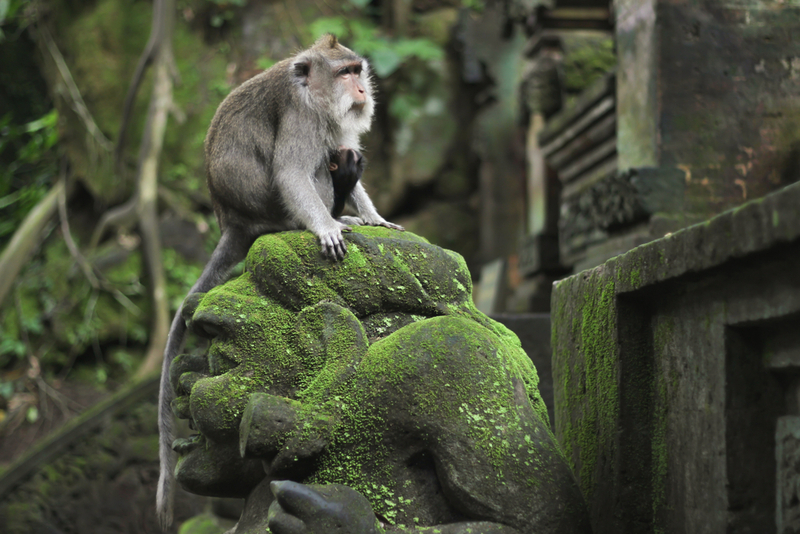 Balinese Monkeys: Get up-close and personal with cheeky Balinese monkeys (a/k/a long-tailed macaques) during a tour of the sacred Ubud Monkey Forest. Mother Temple: Visit the stunning Besakih Temple, Bali’s 1,000-year-old “Mother Temple,” a sprawling complex perched some 3,000 feet high on the slopes of Mount Agung. Learn to Cook: Learn all about the fresh herbs, spices, and other ingredients that make Balinese food delightfully tasty, with a visit to a local market and hands-on instruction from a master chef. Scooter Tour: Rent a motor scooter and cruise the streets of Denpasar as well as the less-traveled roads of the gorgeous countryside. Denpasar Shopping: Drop in to the Kumbasari Market in Denpasar and find unique clothing and kitchenware items at great prices. Don’t forget to haggle. Local Delicacies: Try out some of Bali’s local delicacies, including nasi goreng (fried rice with a fried egg on top) and gado gado (salad served with spicy peanut sauce and prawn crackers). Ayung River Rafting: Carve through astounding landscapes as you raft down the Ayung River (Class I and II rapids) and wind through deep valleys with cascading waterfalls and towering cliffs. Jimbaran Bay Cruise: Romantic and unforgettable, there’s nothing like enjoying a luscious lobster dinner while cruising around Jimbaran Bay after the sun sets. Rice Paddies Bike Tour: Explore one of Bali’s most unusual and beautiful landscapes as you bicycle around the sculpted rice paddies of Jatiluwih, a UNESCO World Heritage Site. Seminyak Beach Sunset: Catch one of the planet’s most awesome sunsets while dancing, dining, sipping exotic cocktails, and chilling out at Ku De Ta on the Seminyak beachfront. 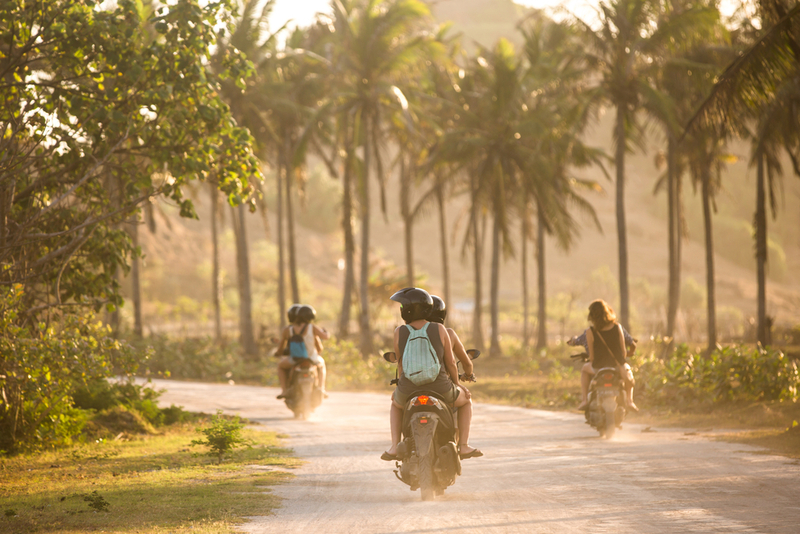 Rental Car or Motorbike/Scooter: Renting a car or motorbike/scooter may be a good choice for long vacations or stays. You will need to show your home country license and an international license to rent a car, or a special permit obtained from police stations to rent a motorbike. Bemo: Bemos are minivans that serve as a flexible bus service (also known as “Shuttle Bus”) and are Bali’s “traditional” form of transportation, though they have largely given way to metered taxis in the south. Private Driver: Hiring a private car and driver for the day is quite common in Bali, considering the relatively short distances to attractions and activities. The cost is reasonable, and you can ask your hotel concierge for assistance or pre-book a car with your travel agent. Taxi: Taxis are the most efficient and convenient transportation on the island. Both chartered and metered taxis are everywhere and quite inexpensive. Air: Reaching hotels on Lombok island requires a short flight. Endless sunshine, legendary beaches, awesome vistas – there’s a reason this island is often compared to paradise. Ready to start planning your next vacation to Bali? Contact your travel agent today.